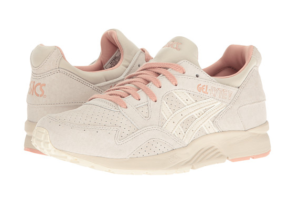 The very popular Tiger Gel Lyte sneakers have released the new batch, the Gel-Lyte V. This season’s retro sneaker brings new colors while maintaining a good price, sitting around $110.00. ($130.00 for the limited edition). 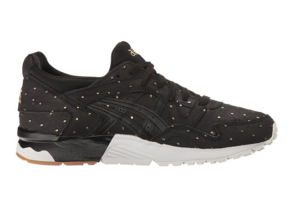 With excellent comfort and support, the Gel-Lyte V is the affordable sneaker and street shoe. 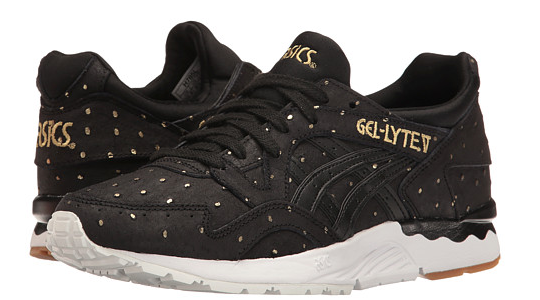 A majority of users who wore Gel-Lyte III and now Gel-Lyte V highly recommend these shoes; they are a kick! They look good, and feel good, and fit well. These shoes are very functional and stylish. They are very comfortable for walking or standing for long periods. It’s a good shoe for traveling with a lot of walking. 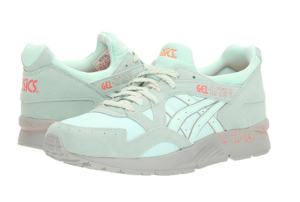 They are available with various colorways. They are kind to users with foot issues or injury. It is a great gift for men and women, teens or middle agers. The shoe doesn’t have a tongue under the laces. 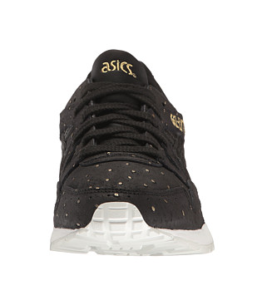 A small number of wearers who have narrow feet say they can’t lace the shoe as securely as they do with other Asics shoes. A wearer needs to wear thick socks in the shoe to get a better fit. 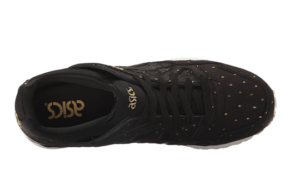 As part of the new ASICS tiger gold collection for 2015, the Gel-Lyte III came in a wide sellection offering premium materials, from classic leather and mesh upper overlays to elite waterproof suede constructions. 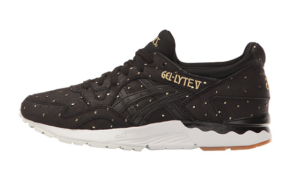 The upgraded version, Gel-Lyte V continues the Gel Lyte heritage, with a fresh and street-ready vibe. Among them, wearers find the colors of purple, orange or Burgundy are very eye catching! The basic black and white stand out with neo colors and stripes. With the hip design, and young and tasteful look, they are good for both dressing up or down. 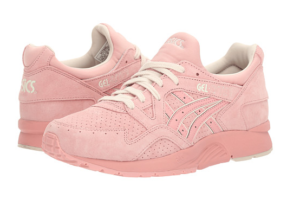 The high versatility is also the reason of the success of the Gel Lyte series. The style and comfort level are meant for all day and everyday wear across genders and ages. They are comfy for running and walking. Some users find the Lyte is more comfortable than their Nike Roshe or Air max. To an extent, it can be so comfy that wearers can have them on for a whole day and don’t want to take them off. The price, unique style and comfort make the shoe a big win. 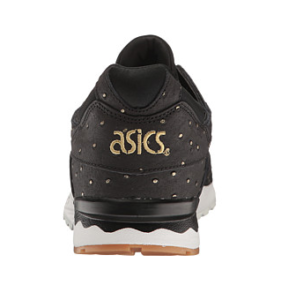 These shoes have breathable fabric and mesh uppers for a classic, comfy fit. The reinforced sockliner and heel-collar offer greater padding and comfort. The distinctive split-tongue helps to prevent typical side-to-side tongue movement. Some users with wide feet like it for another reason, as it helps the feet stay cool while the traditional tongue can keep the heat in more. The shoe has removable cushioned footbed for all day comfort. The EVA midsole give great cushioning. 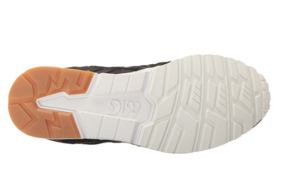 The rubber outsole has flex grooves for comfort.